Panama means Tuna Fishing and Big Game Sport Fishing, so depending on family calendar plan a family fishing trip to Cala Mia Island Resort. Perfect for amateurs and professionals alike, this resort will give you access to one of the world’s top big sport fishing destinations. Find your “fish of a lifetime” in these waters where numerous IGFA World Records have been set. The mostly calm sea is always ready to welcome you back or give you a tuna fishing experience for the first time. Visit the Island Resort and experience nature and all the seasons will satisfy any fishing ambitions. The fishing calendar below show the species that await your journey any month of the year. One of the most prolific months for fishing, the water offers 100-250 pound yellowfin tuna, 100+ pound sailfish, 50-60 pound dorado, as well as black marlin and blue marlin. January and February are known as the “Panama Summer,” with many of the same fish found in January. This month also offers striped marlin when fishing offshore. One of the best months for big yellowfin tuna, March also offers a prolific amount of black marlin, blue marlin and often striped marlin. Also, for those seeking inshore fishing, big roosterfish and cubera snappers are most abundant at this time. Thanks to this transitional month, the water is rich for all types of fishing. Those seeking an inshore experience will pull roosterfish, cubera snappers, and a variety of other game. Yellowfin tuna are also prolific this time of year. This is the month when sailfish fill the seas, as a result of increased southern winds which provide the water with generous amounts of baitfish. Successful fishing techniques include trolled live baits as well as topwater poppers/plugs. This is the beginning of the season for roosterfish, often weighing over 70 pounds. Sailfish are still abundant in the water as well as black marlin, blue marlin, and striped marlin. For those seeking a variety of fish, this is one of the best months for it; black marlin, blue marlin, sailfish, and dorado are all in the water. 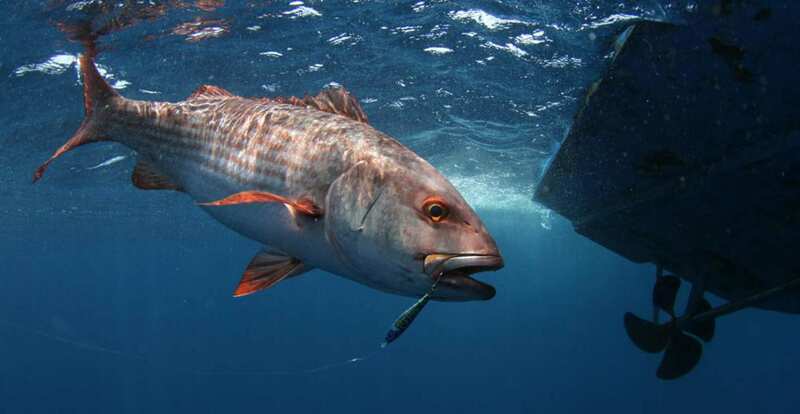 Fishermen wanting to catch big roosterfish and Cubera snapper will be able to find them while inshore fishing. Occasional showers on the water keep this month cool and comfortable for fishing. There are black marlin, blue marlin, and sailfish as well as other billfish. This is the best month for wahoo fishing, with light occasional showers which last less than an hour. Blue and black marlin are still in abundance in the water. While there are still showers, this is the heart of the “green season” with the rain benefits beginning to manifest. The water has ample monster black and blue marlin. Usually signifying the end of the raining season, this is one of the best months for inshore roosterfish and Cubera snappers. Waiting in the water are black and blue marlin, sailfish, yellowfin tuna, and 40-60 pound dorado. Most species are in copious supply during this month; including black marlin, blue marlin, sailfish, yellowfin tuna, roosterfish, cubera snappers and dorado.